Justice. It is a lofty, important word. Lawyers and judges make our justice system work. It is in court houses, and lawyer’s offices. It is for the privileged, for the elite. Right? Wrong. Justice is something that affects every person, not just the few who have graduated from law school. Justice is about the person who works hard to earn minimum wage, but didn’t have enough money to eat AND pay the rent this month. It is about the retired carpenter, who can’t pay their car loan and credit card bills now that they are on a fixed pension income. It is about the 17 year old who can no longer live at home with their abusive parent, but doesn’t have a job or the funds to rent their own apartment. None of these people have the money to pay the hourly rate of a lawyer in private practice to help them fix their problem. Does that mean they should go without help? Without housing? Without food? 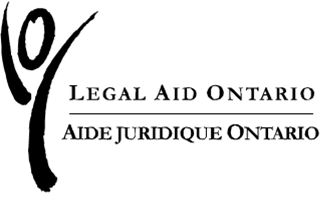 In Ontario, we believe that everyone should have access to legal help, regardless of their income and ability to pay for that help. We have a legal aid system, that funds and supports community legal clinics to help the people who cannot pay for that help, with the basic necessities of food and shelter. Our system provides service to the entire province. This means that people who live in remote Rainy River, should receive the same level of help as those living in Toronto, Ottawa, Hamilton. 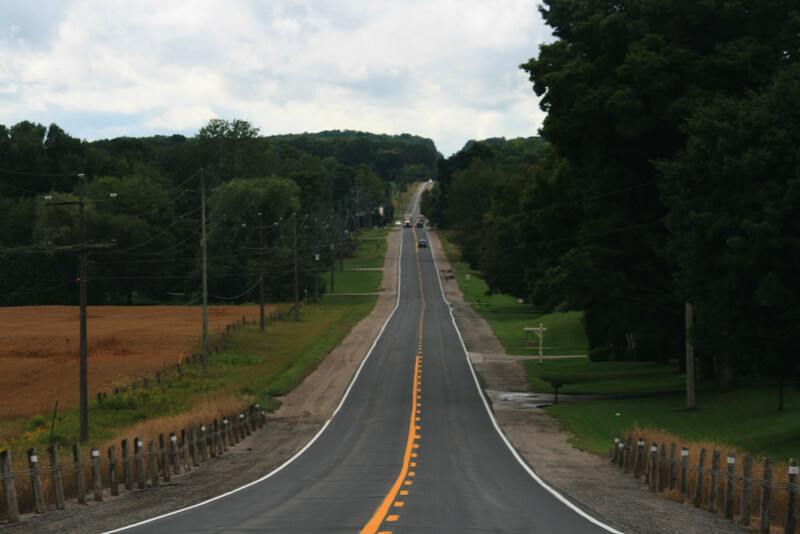 Living in a rural or remote area adds to the challenges faced by people with legal issues. 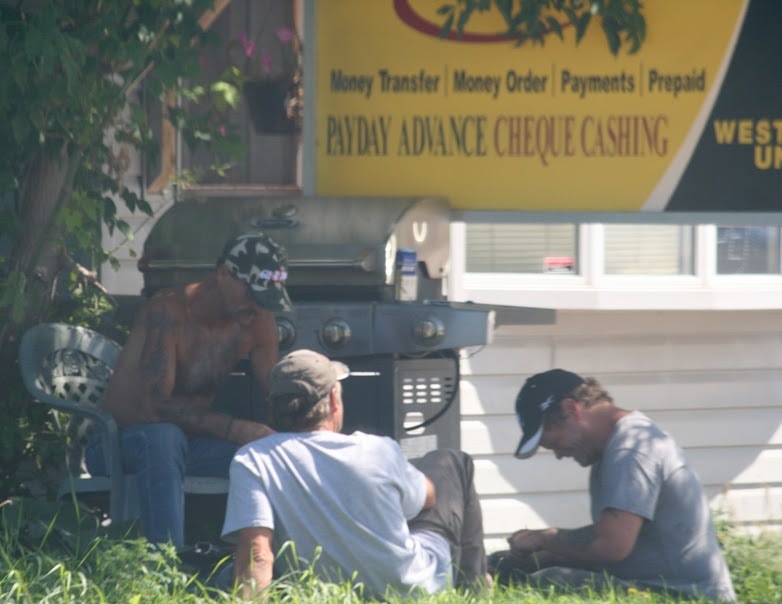 Not only do they have to figure out how to pay the rent, or deal with the landlord, they have to find someone who can help them, someone who may be 100 kilometres away, and where there is no bus service. Is someone who lives in Ottawa more worthy of help than someone who lives in Madoc? We believe that ALL should receive the help, regardless of where they live. The Rural and Remote Boldness Project sees the added complexity of legal service delivery to people in rural and remote areas as a challenge that must be met. Everyone, wherever their home, should be included, should feel a part of the society that believes in legal supports for all. This, to us, is the goal of inclusive justice. There it is again. It must be them. It says “unknown caller”. I cannot answer. If that collections woman calls me a loser again, I don’t know what I will do. It doesn’t matter. Is it today that the phone company said they would cut the phone off? I don’t know. It doesn’t matter. I don’t have anyone to call anyways. I moved to this place because everyone said it would be cheaper. In a town of 300 people, not one of them talks to me. They probably all know my landlord. He probably told his friends that I haven’t paid the rent in two months. They know I’m a failure. I wish I had never gotten in the car that day. Then maybe I wouldn’t have had that accident, and I would still be living in my old house, and going to work every day. Instead I can’t answer my phone because those collections people just make me feel like dirt. Who knew that I would be trapped in this house I can’t pay for, with no bus service, and no way to fix anything. I will have to walk for a half an hour to get to my neighbour’s house to use their phone, when my phone is cut off. I wish I had insurance on the car when I had the accident, I might have been able to get a new one. Then I might have had friends here. Is today the day? Do I have to send lunch money and picture money today? I can’t remember. My daughter can’t be the only one in her class without lunch money. And I have to have pictures, pictures to remember. All I have left is twenty dollars. That has to last us another week, until I can get the next cheque. I can’t ask anyone for more. I can’t ask her father. He can’t know where we are. If he finds us, or gets mad at me again because I need too much money, I might not survive. Where will my daughter go if I end up in the hospital again? There is no one else for her. We have to leave the shelter soon, I don’t know how to find a place to live. I’ve never signed a lease. Why did I call the Crisis Line, I knew the only shelter in the district was two hours away. The lady who picked us up, and drove us here, she really meant to help. But now I am in this small town, so far from my friends. We are alone here. I need them to help me. Now. They have to help me. Have to. How can I make them help me? Welfare has to give me the money. They have to. The doctor has to see me. The doctor has to help me. He has to hear what I hear. Hear the voices. Hear the messages. Why does that lawyer not call me back. I will call again. That’s only 5 times today. They must answer. They must help. I cannot go to their office. I have no money for gas. Why is their office so far away. No bus. No taxi. Drive 45 minutes to town, to their office. They must make the landlord understand that I cannot put the money in their bank account. They must show the landlord the letter from the bank that says “No Trespass”. They have to help me. I will call again. They must answer. The landlord has to take back the eviction letter. There is no bread. There is no wood for the stove. They have to help me. I will call again. There is no one else. 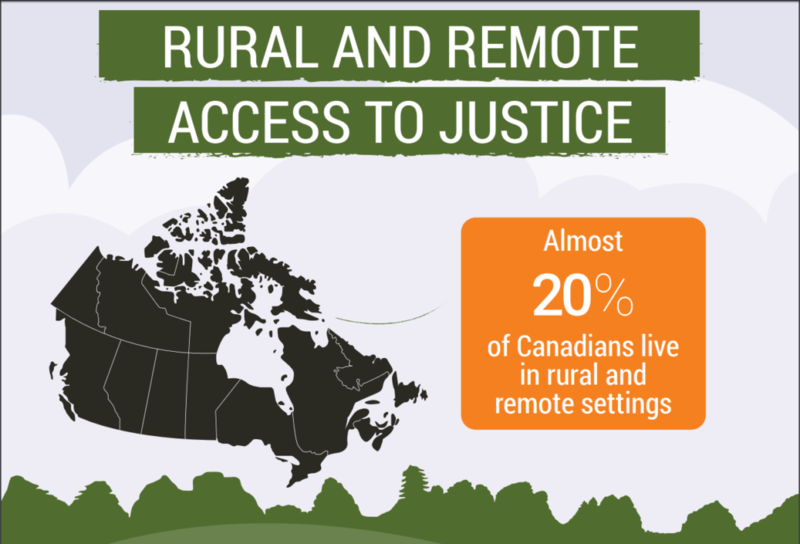 This Infographic, prepared for us by The Canadian Forum on Civil Justice, provides a snapshot of factual and visual information on Rural and Remote Access to Justice.